A unique plan to regenerate a large swathe of the south of the borough by promoting outdoor recreation to stimulate economic growth has now been formally adopted by St Helens Council. The Bold Forest Park Area Action Plan, which covers areas of former colliery and agricultural land at Sutton Manor, Clock Face, Bold and Bold Heath – known as the ‘Bold Forest Park’, encourages inward investment via rural entrepreneurship in the visitor economy, while providing leisure and healthy living opportunities for the community. The action plan, which has been produced in partnership with The Mersey Forest and Bold Parish Council, builds on the environmental improvements already made in the area which have seen large swathes of derelict colliery land transformed into accessible woodland. Several stages of preparation and public consultation were undertaken with the feedback given by residents and other groups helping shape the plan’s proposals. Key proposals involve the development of several linked ‘recreation hubs’ across the forest park area, providing visitor facilities and a base for activities including walking, mountain biking, horse riding, boating, canoeing, fishing and children’s play facilities. The plan supports the potential future provision of a dedicated visitor centre at Sutton Manor building on the popularity of The Dream sculpture to provide a café, car parking and toilet facilities with the potential for events space. Other aspects of the action plan focus on recognising the area’s rich heritage and nature conservation with potential for guided activities. The establishment of land based training schemes to help create and maintain the Forest Park’s infrastructure will also offer local employment opportunities. The formal adoption of the plan by the council, which followed its scrutiny by a Government-appointed planning inspector, means it will now take effect and become a factor when planning decisions in the area are made. 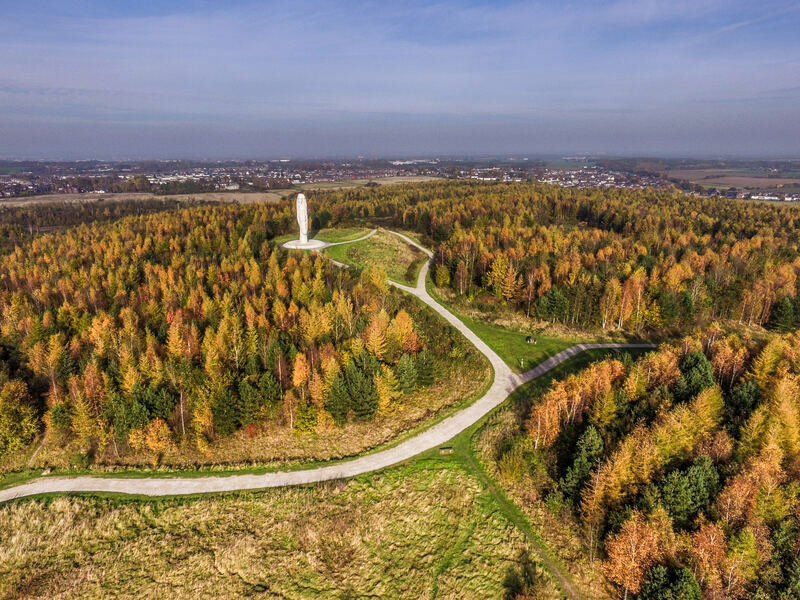 Commenting on the plan’s adoption, St Helens Council’s Cabinet Member for Growth, Councillor John Fulham, said: “This vision for Bold Forest Park has been in the pipeline for some time now, so I’m delighted to hear of this adoption which takes our dream one step closer to becoming reality. “Once complete, this once derelict site will be a key asset for the borough which is sure to attract visitors from across the borough and beyond.